Lava flows from Kilauea fill what was formerly known as Kapoho Bay on May 5th, 2018. A terrifying wall of lava from Kilauea volcano in its East Rift Zone has destroyed two entire tracts of suburban housing containing at least 280 units in the eastern part of Hawaii’s Big Island, Reuters reported on Wednesday, meaning that the ongoing eruption there has now claimed at least 350 homes. 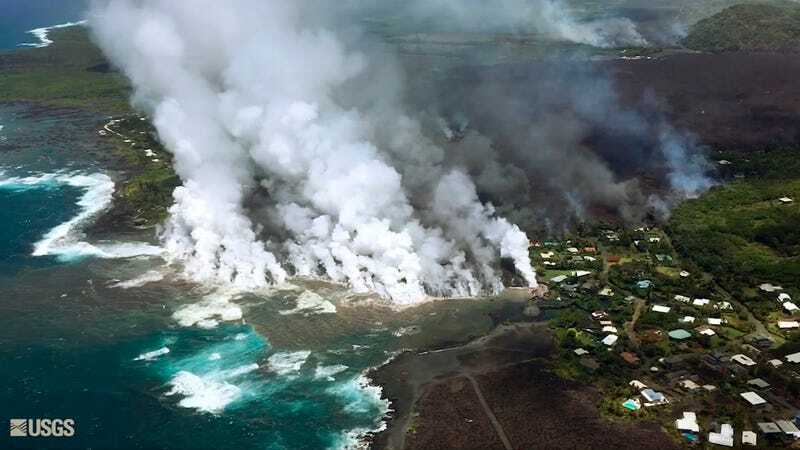 The obliteration of the Kapoho Beach Lots and Vacationland subdivisions by a churning river of molten rock some 10 to 15 feet (3 to 4.6 meters) tall brings to at least 350 the number of homes and other structures consumed by volcanic lava during the past month. That latest toll of property losses from Kilauea’s ongoing upheaval, which entered its 35th day on Wednesday, far surpasses the 215 structures destroyed by lava during all 35 years of the volcano’s last eruption cycle, which began in 1983. US Geological Survey (USGS) vulcanologist Wendy Stovall told Reuters that the Vacationland subdivision is “gone” with “no evidence of any properties there at all.” Only a few homes are left standing in the other community, Stovall added. Lava erupts from a fissure in Leilani Estates on May 23rd, 2018. 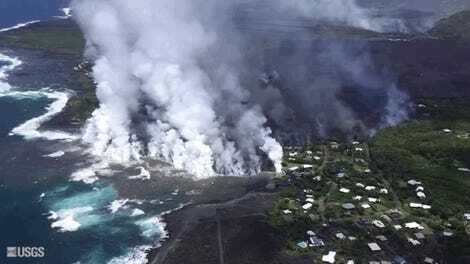 Land access to the region was cut off on Saturday when lava flows swept over existing roads, Reuters wrote, mere hours after remaining residents were able to evacuate with the assistance of authorities. 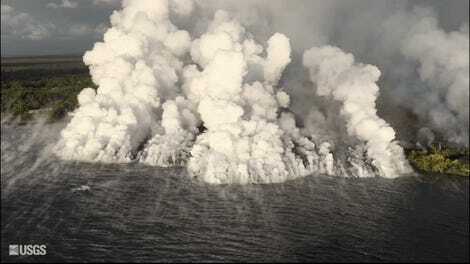 According to ABC News, a magnitude 5.6 earthquake struck the summit of Kilauea on Wednesday, which could cause ash to fall over the nearby towns of Volcano and Pahala. 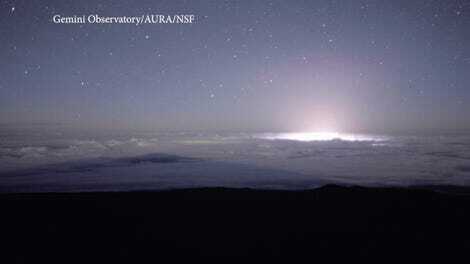 No tsunami risk was expected, though a live webcam of the summit on YouTube showed clouds of gas and ash pouring outward in the wake of the event.